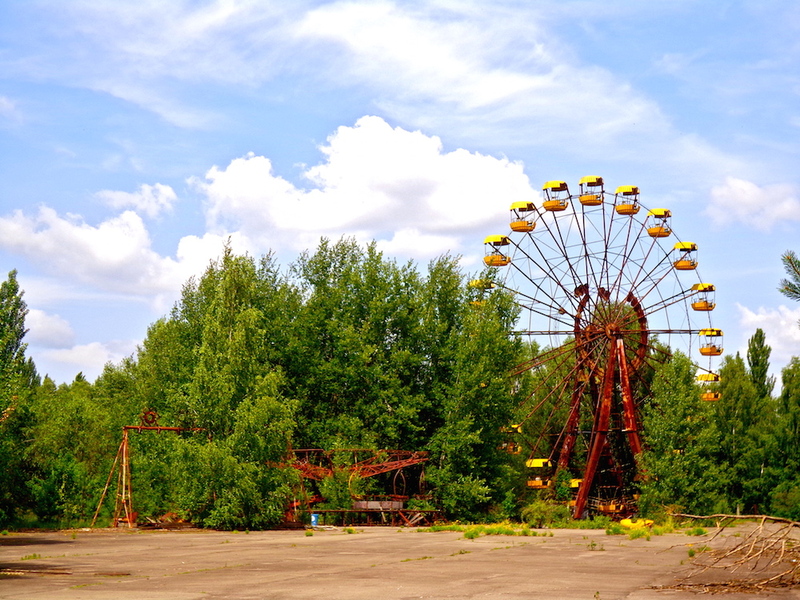 In the summer of 2013 I decided that, while in Ukraine, I couldn’t pass up the opportunity to go into the Chernobyl exclusion zone. 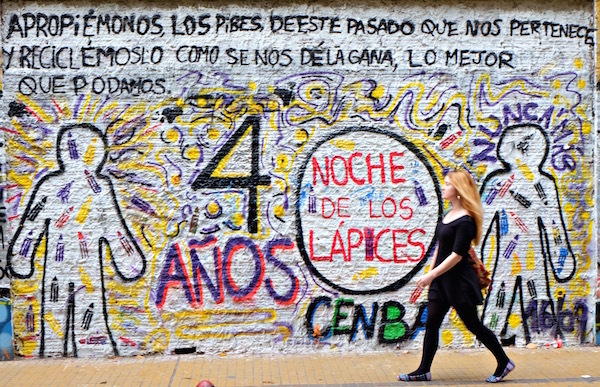 Last month was the 30th anniversary of the nuclear disaster. For anyone not paying attention in history class, on April 26th, 2016, the a reactor at the Chernobyl power plant in the Soviet Union (now Ukraine) exploded. The Chernobyl disaster was the worst nuclear power plant accident in history in terms of cost and casualties.1 A fire roared for hours, the contamination level at 40 times greater a lethal dose of radiation.2 It took six hours to extinguish and included many casualties. 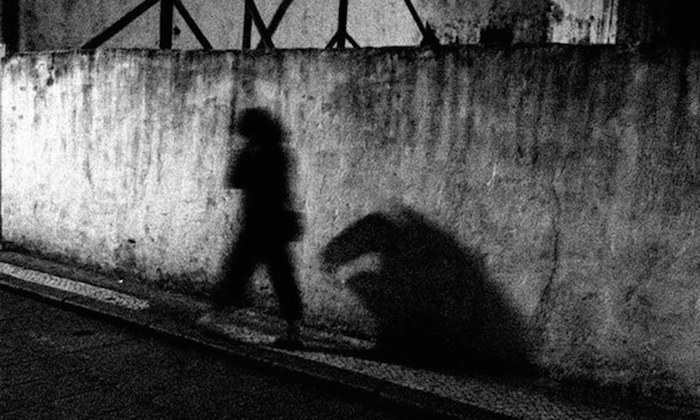 The number of deaths from the radiation leaked into the atmosphere is unknown, though many blame the accident for thousands of cancer-related deaths and birth defects.The city and surrounding area was evacuated after two days and abandoned for thirty years. When I tell people I visited Chernobyl, they typically shoot me a look indicating simultaneously, you might be the stupidest person I have ever met and they let you go to Chernobyl? The answer to the second (and possibly the first) is: absolutely yes. You must obtain a permit which you can only do by taking a tour (mine was $150 and was 100% worth it), you just have to sign up a few weeks in advance due to permit regulations. My 6-hour day trip with SoloEast_Travel is still one of my favorite adventures. I didn’t look up how much radiation exposure I would experience going to Chernobyl. 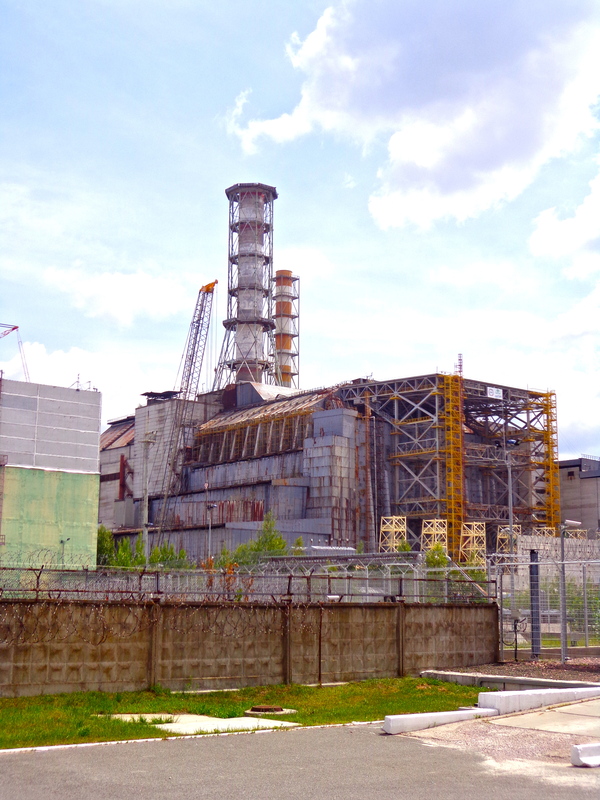 Having studied nuclear energy and nuclear disasters in the past, and traveling to all kinds of crazy places, my thoughts pretty much stopped at, “it’s fine.” I didn’t even reread the tour company’s regulations the morning before. I just rushed to the meeting point, afraid of being late, only to arrive and have the company operator roll his eyes that I had worn open-toed shoes and capris. Apparently he wasn’t supposed to let me go without socks and long pants but its Ukraine so he just half-heartedly mumbled, “don’t get dust on your feet” and let me on the bus. This literally left me stressed the entire trip since our guide mentioned that we would all need to clear the contamination check while exiting. 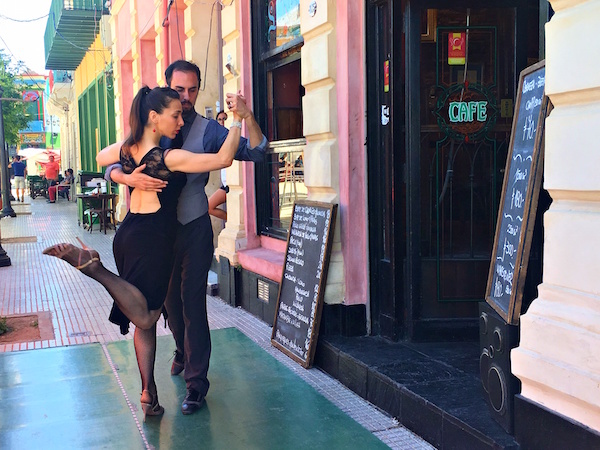 I convinced myself that my exposed feet would betray me. I had no idea what failing contamination in Ukraine involved and I desperately did not want to find out. On the bus, they played a documentary made in the late 90’s or early 00’s about the disaster. While I had studied it before, I enjoyed the refresher. Until, of course, the documentary explained that the solution to encase reactor 4 (THE reactor) in concrete only provided a temporary solution. After 30 years, the “sarcophagus” would be leaking so much radiation it would pose as an environmental threat not only to Ukraine and Belarus but to many countries in Europe due to contaminated wind, contaminated water, etc… At first this information didn’t sink in. Thirty years was a long time. But then I did some quick math. The disaster occurred in 1986. It was 2013. That’s 27 years after the disaster. Which means (now) the reactor is leaking a lot of radiation. I questioned whether going on this tour was a smart decision and decided my risk for cancer later in life just tripled. 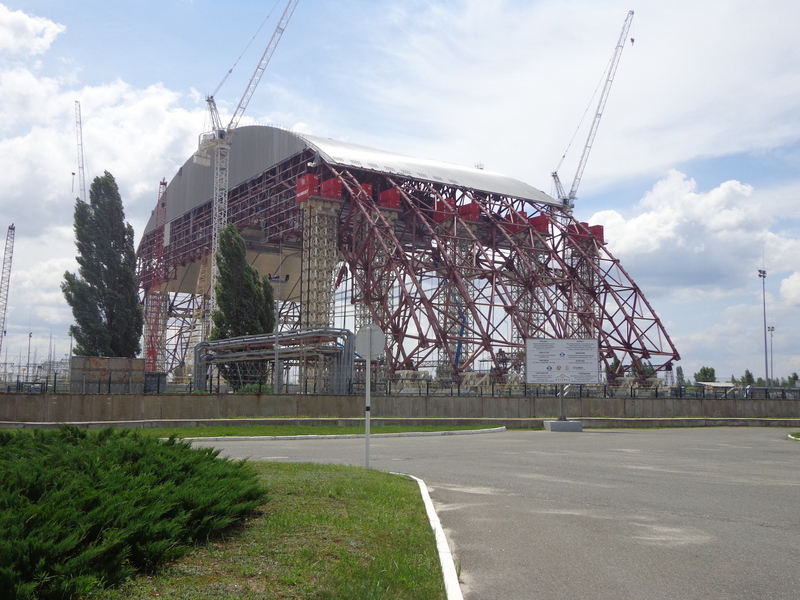 In fact, once we reached the reactor, our guide pointed out a dome being built about 200 feet away from the reactor. He explained that the European Bank for Reconstruction and Development had funded the construction of the dome in order to place it over reactor 4 since the concrete encasement is breaking down. I (stupidly) asked why it was being built so far away. He told me if they built directly over the reactor the workers would get cancer. 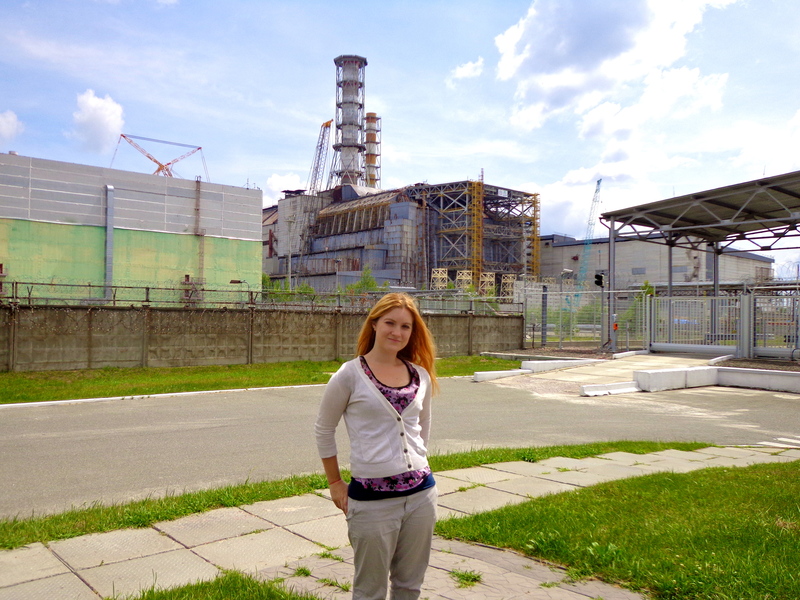 At some point, once we were far from the reactor, I removed my sweater since it was horribly hot in Ukraine in June. I overheard someone asking the tour guide how necessary wearing long pants and long sleeves were during our time in the exclusion zone. The guide said it was recommended to protect for the radiation but some people (he motioned to me thinking I wasn’t paying attention) take the advice more seriously than others. I wondered if he was right, but then I decided a sweater from Gap wasn’t going to save me from cancer (which at this point I was certain we were all getting). Yet I also convinced myself that having removed my sweater meant I would surely fail the contamination check. I asked the guide several times during the 6-hour tour what would happen if someone was to set off the exit contamination monitors. Every time he just reassured me that only happened a few times a year and not to worry about it. I wasn’t even worried about my health, just the embarrassment of being the stupid blonde American who decided to wear sandals and waltz around Chernobyl in a cute tank top and capris (it was really hot). That’s it. You wash your feet. And then you can leave. I love Ukraine. Besides reactor 4, we got to see a number of really interesting sites. If anyone has ever met me, they know I am absolutely obsessed with abandoned buildings and things that are falling apart so Chernobyl is pretty much my miniature version of radioactive heaven. First we stopped by an abandoned nursery. The pictures don’t even do it justice. 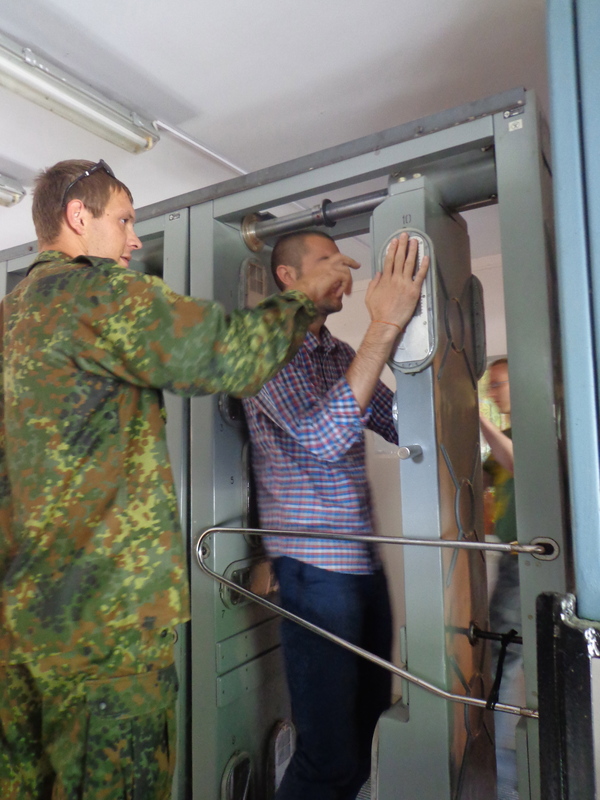 They told us over and over again not to touch anything (according to Ukrainian law, tourists are no longer allowed inside any buildings in the exclusion zone after some tourists fell through the floor in 2011 but my tour guide didn’t tell us that). 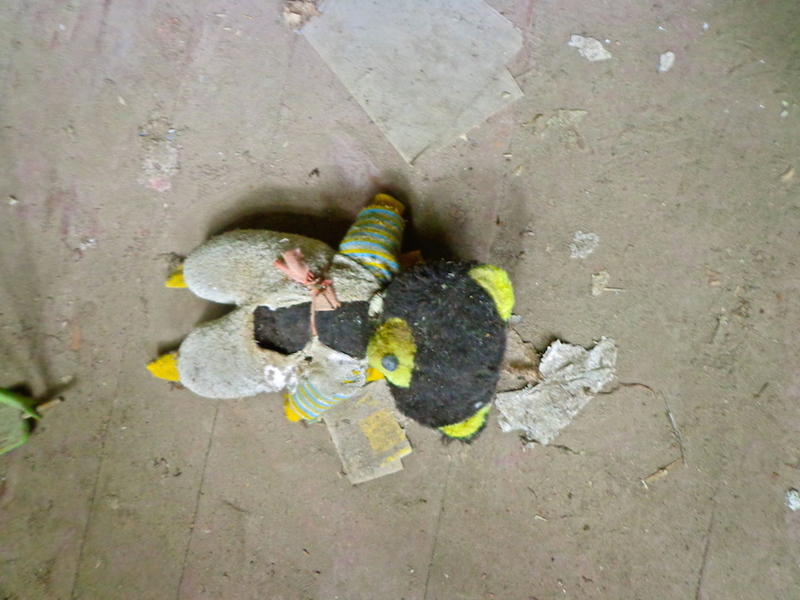 It was kind of creepy seeing all the baby dolls and toys scattered all over the floor covered in dust. I didn’t own a good camera at the time, so these are the best shots I got. Then our bus broke down and someone turned to me and asked if I had seen the horror movie Chernobyl Diaries. I said no and they told me it’s about a group of tourists whose bus breaks down and they are stranded in the exclusion zone over night and all these mutated zombies come to try to eat them (or something like that). 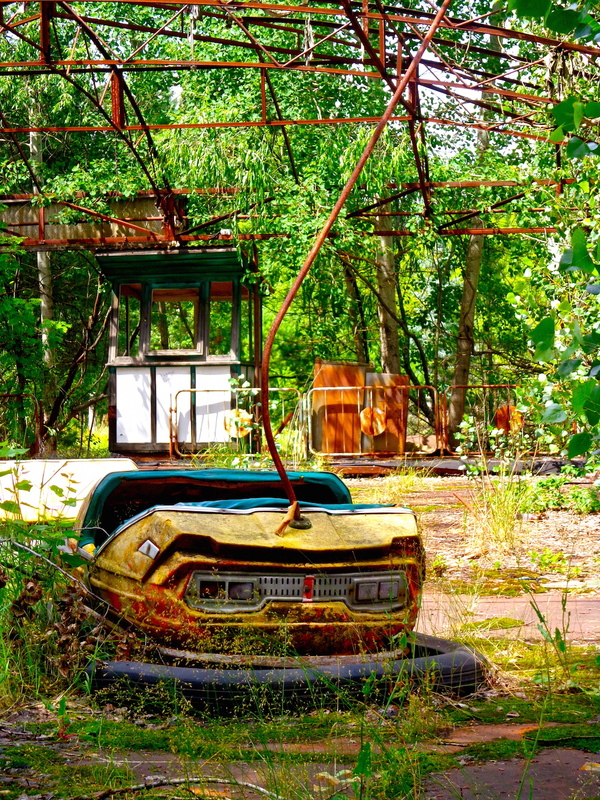 Pripyat is an abandoned city built in 1979 for the power plant employees and their families. 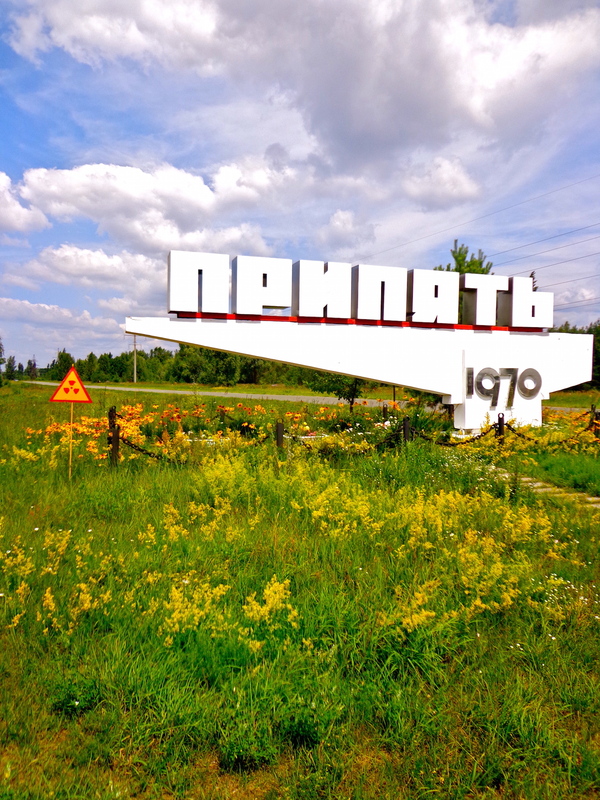 The city was evacuated 2 days after the Chernobyl disaster. 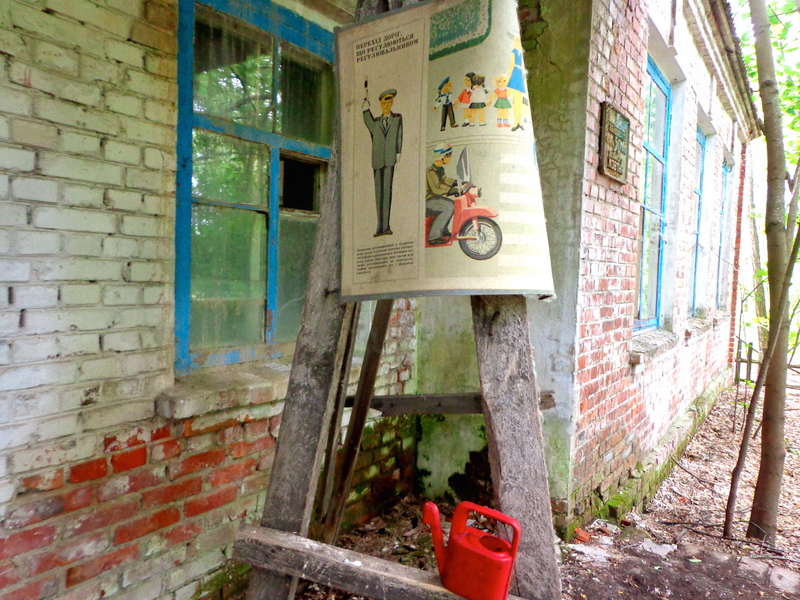 Our guide told us that the Soviet Union recommended people only bring valuables and person papers. They told the families they could return shortly to their homes. The government, of course, knew this was a lie, but they didn’t want to cause panic. Almost all of the apartments buildings are empty. 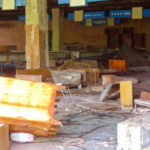 Looters sold the contaminated products on the black market. Our guide explained that a fair was set to open a few days after the disaster occurred. This means the rides were only ever tested, never officially ridden by the city residents. 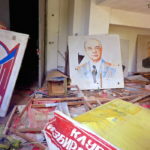 He also showed us the interesting room full of Soviet Propaganda that was going to be used for the opening of the fair. The radiation seems worse than it really is. Honestly, people tend to over react about safety and health issues constantly. “Chocolate gives you cancer,” “coffee helps prevent cancer,””don’t refill your old water bottles.” Honestly, people have no idea what they are talking about. 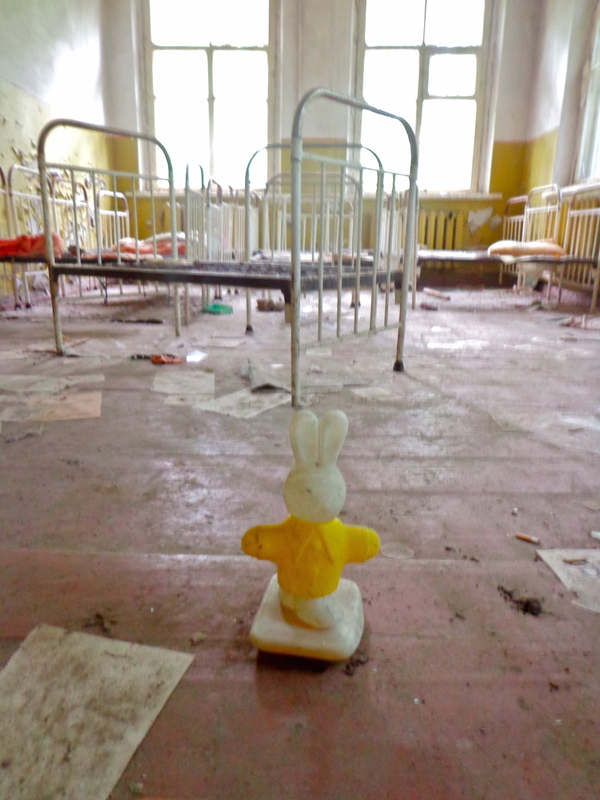 My guide said he lives in the exclusion zone three days a week. Every few years a newspaper picks up a story about the Ukrainian babushkas who still live in the exclusion zone. Though I don’t think living there is the best for your health, a day trip isn’t going to kill you. We come into contact with low doses of radiation all the time and no one even knows it. The levels of radiation on guided tours are relatively small; radiation levels in most places are less than those of being in an aircraft flying at 30,000 ft. The main danger is not in the radiation itself, but in particles of radioactive materials that may remain on your clothes or items. Hence why you need to wash your feet.